Understanding how to execute 301 redirects is a fundamental SEO skill. Make sure you read until the end because I’m going to show you two of my favorite 301 redirect tactics (that produce massive results). A 301 redirect signal to search engine crawlers that a page has been permanently moved to a different page. Do 301 Redirects Affect Your Google Rankings? 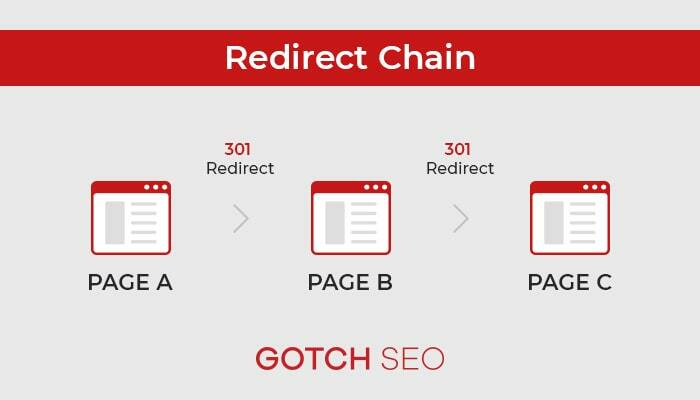 301 redirects can affect your SEO performance positively or negatively from a technical, content, and link building perspective. I’ll be covering everything in this guide, but before I do, I need to cover a few important questions about 301s. Do 301 Redirects Pass Link Juice (PageRank)? Not sure who came up with the phrase “link juice”, but yes they do pass PageRank (note: Google still uses PageRank, but hasn’t updated for the public in many years). Gary is saying that all 30x redirects (including 301s, 302s, & 307s) pass 100% of the PageRank. Should you believe him? Yes and no. He’s probably telling the truth, but it’s better to be safe than sorry. 302s did NOT pass PageRank in the past, so it’s better to take the safe route and use a 301. A 301 redirect permanently moves a page and it is no longer visible to the user. On the other hand, when you use “rel canonical” the page is still live and visible to the user. Only search engine crawlers will see the usage of canonical tags. Now with those questions out of the way, let’s jump into the technical side of 301 redirects. If you have an SSL certificate installed (which you should), there’s a chance that some URLs may still be insecure. It’s important to 301 redirect the non-secure URLs to the secured. The good news is that Screaming Frog SEO Spider makes this super easy. Just enter your root domain and start the analysis. Then click on “Protocol” and then select “HTTP” from the dropdown. This section will show you all the URLs that are currently insecure. Make it a priority to fix these. There are two types of redirects that need to be handled: 302s and redirect chains. To find 302s, simply click the “Response Codes” tab and select “Redirection (3xxx) from the dropdown. You should change all 302s to 301s unless the 302 is actually being used for its proper purpose (which is a temporary redirect). Although Google says it’s fine to leave 302s as is, I’d rather not roll the dice. 301s are proven to pass PageRank. So stick with what’s proven. The next step is to see if the target website has any redirect chains. A redirect chain occurs when a redirect is redirecting to a redirect. Finding redirect chains is important because there’s a good chance it’s hurting your website’s authority. That’s because link equity (PageRank) has to pass through one or more unnecessary stages. To find them, simply open up Screaming Frog SEO Spider, click on “Report”, and then click on “Redirect Chains” to export all existing ones. Now just go through and clean up all the existing redirect chains. There are only two types of 404 pages you should be concerned about. The first step is actual find all your existing 404 pages. I use a combination of Screaming Frog SEO Spider and Google Search Console to find these errors. Open up Screaming Frog SEO Spider and click on the “Response Codes” tab. Then select “Client Error (4xx)” from the dropdown and export. To find 404s with the new version of Google Search Console click “Index”, then “Coverage”, then “Excluded” tab and then click on “Not found (404)”. After you’ve gathered all your existing 404 pages, it’s time to see if any of these pages have existing backlinks. The best way to do this is to use Ahrefs Bulk Analysis tool. Open up Ahrefs, click on “More” and click on “Batch Analysis”. Then enter all the 404 page URLs and start the analysis. If any of the 404 pages have backlinks, then you need to identify a relevant page on your website. If you’re not able to find one, then you should 301 redirect the 404 page to the homepage. Those are a few different technical ways you can leverage redirects, but now I want to show one of my favorite techniques involving redirects and content. One of the biggest SEO content mistakes is creating multiple assets around very similar keyword phrases. This can lead to keyword cannibalization and make your SEO campaign harder than it needs to be. That’s when The Cake Technique comes into play. Increased word count – Consolidating assets will naturally increase your word count which is often correlated to better rankings. Deeper content – Spreading your knowledge across multiple posts usually produces thin content. Consolidating your assets produces the opposite effect. Eliminates keyword cannibalization issues – Keyword cannibalization (when two or more pages target very similar keywords) forces Google to choice which one is best. Why take the risk? Consolidating similar assets eliminate this issue. Consolidates authority – You’ll be 301 redirecting your other assets, which means your “Mother” asset will inherit all existing backlinks. That will turn your “Mother” asset into an authoritative powerhouse. Makes content promotion easier – It’s easier to acquire backlinks and promote a single content asset. Plus, people are more likely to link to a super resource than a thin content asset. Unless your Seth Godin, but he’s the exception. Identify content assets that are targeting the same or closely relating keywords. Decide what content asset is going to be your “Mother” asset. Map out how you’re going to combine these content assets into a single piece of content. 301 redirect all the supporting assets to the “Mother” asset. Annotate your actions in Google Analytics to measure the performance of your new asset. I’ve used this exact technique with many clients and even on Gotch SEO. In fact, this guide you’re reading now is leveraging The Cake Technique because now I’m going to show you how to use The Merger Technique (which used to be its own individual blog post). I also used this technique a few years ago when I consolidated a few different assets around the topic of “backlinks”. This was borderline keyword cannibalization, so I decided to consolidate them into a single asset (my backlinks guide). Now let me show you one of my favorite 301 redirect link building methods. I already showed you how to fix on-site redirect chains, but a lot people overlook fixing off-site redirect chains. or when websites don’t use your preferred URL. You should always assume that redirects don’t pass full PageRank to your desired URL. With this assumption, you should try to fix all backlink redirect chains. That way you know that you’re getting the full link power. Fortunately, Ahrefs makes finding these backlink redirect chains super easy. After you’ve found all the backlink redirect chains, you just need send a simple outreach email. My name is [YOUR NAME] and I’m the [YOUR POSITION] at [YOUR COMPANY]. When you get the chance, would you mind changing our URL to [YOUR PREFERRED URL] because [we just rebranded|we just installed an SSL certificate]. This method has a pretty high success rate because the linking websites are already warm to your brand. What is The Merger Technique? It is the process of 301 redirecting a relevant expired domain to your site. The objective is to increase your site’s authority. More site authority = better Google keyword rankings and more organic search traffic. This strategy is no different than a big brand acquiring another business. The Merger Technique imitates this process. I came up with the name of this technique because my SEO agency has used it with the big brands I work with. For example, one of our clients acquires data centers across the United States. So, every time they acquire a new data center, they redirect the acquired brand’s site to theirs. Although these results were awesome, I wanted to make sure it wasn’t an isolated event. That’s why I implemented the same strategy on Gotch SEO and several other client sites. For my site, I took an old marketing website and 301 redirected it to a landing page on my site. Not ALL 301 redirects work. That’s why I didn’t want to call this a “301 redirect strategy”. Using 301 redirects for link building purposes is not a new technique. But the old way of leveraging 301s is not only dangerous, but will likely be ineffective. The old approach is to take ANY domain with high metrics and 301 it to your site. Google’s Penguin algorithm nails websites with irrelevant, spammy link profiles. By 301 redirecting an irrelevant domain, you’re asking Penguin to slap your site. 301 redirecting an irrelevant domain will destroy your anchor text profile with irrelevant anchors. Let’s say you’re trying to rank a page for “link building”. You then go out and find an expired domain about “kitten training” with amazing metrics. You then redirect this domain to your site because of its metrics alone. Now you have introduced irrelevant links and anchor text about “kitten training”. This creates the perfect recipe for confusing Google. It doesn’t know if your page is about training kittens or link building. A confused Google = an invisible website in the search engine. Now that you know why the old 301 redirect approach isn’t effective, let me show you why the new approach works. Relevant backlinks are king. Plain and simple. With The Merger Technique, you will only be using expired domains that have similar Topical Trust Flow topic to your site. The reason why you want to use Topical Trust Flow topics is because it’s based on link relevancy. For example, if you were in the “health” niche, you need a domain that has “Health” as it’s TTF Topic. There is a strict criteria for anchor text distribution. More on this in a second. It works because you’re focusing on relevant expired domains. Relevance is the single most important factor when it comes to effective link building. Google can detect traditional 301 redirect tactics because the content and links are irrelevant. The Merger Technique is nothing more than you “acquiring” another business in your industry. Now let me show you how to actually find quality domains. The first thing you need to reinforce in your mind is to be patient. You aren’t trying to build a network of websites. Take your time and don’t jump on the first opportunity you see. Using the criteria above, you will now go into DomCop and try to find a domain for your Merger. For the demonstration below, I will show how I would look for a Merger site if it were for Gotch SEO. You will see the sample below that 18% of this domains anchor text is for “FLV player”. This is a red flag. Compare this to its branded anchor text which only comprised 3.47% of its anchor profile. Personally, I would have eliminated this domain after seeing the anchor text distribution. I will continue on through the other steps to show you what domains you should NOT get. This is a critical step in the process for you to see. Remember when I said I would have discredited this domain because of the anchor text? With this discovery, this domain would be back on my “good” list. Any type of foreign anchor should raise red flags. But, you shouldn’t immediately classify it as spam. Popular websites get foreign anchors all the time because they have global recognition. With that said, you need to investigate the foreign anchor text to make sure it isn’t spam. After translating this site, I can conclude that it isn’t spam and there is no reason to worry about the link. There is a big misconception in the PBN space that a foreign anchor equals low quality. That’t not always the case and that’s well demonstrated in this example. Uh oh… everything was going so well up until this point. The site isn’t indexed. You should run this check BEFORE doing all the steps above. I just wanted to give you a complete demonstration. It’s hard to say why this domain isn’t indexed, but there is no point in stressing over it. Just move on to the next opportunity. If the domain in this example was indexed, we would want to check its history. In an ironic turn of events, this site has been used for redirects on many occasions. This domain is disqualified because A) it isn’t indexed and B) it’s already been used for the purposes we want. Showing you what domains NOT to buy is the best way to show you what you SHOULD buy. I won’t go through another example, but just make sure you follow the steps above. In addition to using DomCop, you can also look for domains using FreshDrop. Flippa takes The Merger Technique to a new level. That’s because you can get a relevant domain AND qualified traffic to your site. This is the perfect equation for growing the authority of your site. You’ll need capital to use this strategy, but it is by far the most effective. The only problem with using Flippa is that it’s challenging to find domains relevant to your niche (and that follow the Topical Trust Flow topic rule). Always verify the domain’s traffic because Flippa is plagued with scammers. Now let’s talk about executing a proper 301 redirect (using The Merger Technique). The first decision you’ll have to make is whether you want to redirect your domain through your registrar or hosting provider. A registrar redirect will redirect all the domains pages to your homepage. This isn’t the best route to take. You should invest in hosting because then you’ll be able to redirect on a page-by-page basis. Is there a relevant page on your website? If so, redirect. Does the page have existing backlinks? If so, redirect it a relevant page. If there isn’t a relevant page, redirect to the homepage. Don’t be afraid to let some pages 404 if they A) have no relevant sibling page to pair, B) they don’t have any positive signals (backlinks) or C) they were thin, low-value pages. To see what pages have backlinks, just open up Ahrefs, enter the domain, and click on “Best by Links”. Don’t go crazy with The Merger Technique. Have extreme vetting standards and only consider the highest quality and most relevant domains. If you do that right, you don’t need many “mergers” to see an impact. I hope this helped learn more about 301 redirects and please drop your questions below because I respond to every single one. Thanks for reading. We migrated to a new platform (Mag to Shopify) about 12 weeks ago, due to the change in platform all of our category and product urls had to change due to Shopifys structure. All old pages have been 301 redirected to the new structured url. However, none of our old backlinks have been picked up under the new structured url. I understand that it does take some time, but I would have expected that some of these would have filtered through by now. Have checked the cache history of the external pages and these have been crawled since the migration. Any thoughts on why this may be taking so long? Or anything that can be done to push these through? one additional method to find Merger Domains is to find broken links of a powerful relevant domain in ahrefs. In the travel niche for example, 2 or 3 years ago, I was searching for the official tourism website of a destination or travel print magazine websites. Usually links from these kind of websites are impossible (or if possible, very expensive) to get. In ahrefs.com I was looking for outgoing broken links and check out the target domains. With this method I found some really good results. For example am I ranking the name of a very popular vacation island on Pos. 6 in google. This keyword has 180.000 monthly searches and 29.000.000 results in google. It is only one domain redirect and no direct link to this subpage. The keyword was not in Top 100 before the redirect and the redirected domain has only one backlink. BUT this backlink comes from the official tourism website of this island. So yes, it is a very powerful technique even if the domain has less than 20 backlinks, like in this case just 1. Thanks for sharing Great site and a great topic as well I really get amazed to read this. Thanks for the comment, Barun! Thankyou. Now i know how the 301 redirect works. Thanks for the comment, Steffan! Would it be wrong to cut the redirect chain down from 2 to 1 and do http://example.com to https://wwww.example.com jumping a step? From the blog post, I’m of the understanding that the quicker to preferred URL the better.